Add shrimp and season with Lawry’s to taste, cook shrimp until pink. Keep aside. Place 6 cups of water in a large pan and cook the grits for 30 minutes. 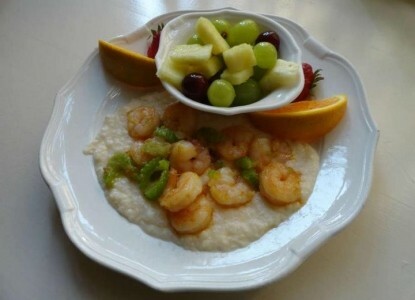 Put shrimp over the grits and enjoy!